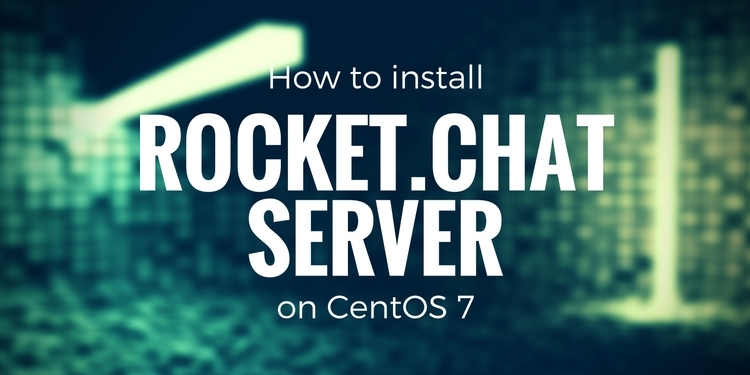 In this tutorial, we will install Rocket.Chat server on CentOS 7 after installing all the required dependencies. We will also setup Apache as a reverse proxy using Let's Encrypt SSL. 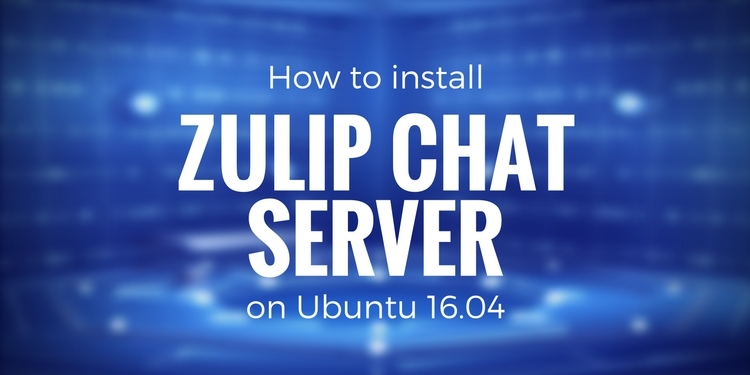 Rockt.Chat requires at least 1GB RAM and Single Core CPU to install, which is enough to server 200 users and 50 active users with activities. To serve more users you will need more resources like to server up to 1000 users and 300 active connection you will need to 6 Core CPU and 4GB RAM. 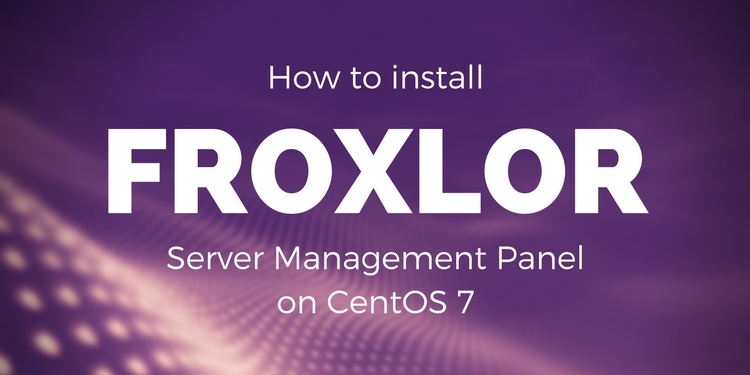 To follow this tutorial you will need a server with minimal CentOS 7 installed. You will also need root access to the server, if you are logged in as non root user, run sudo -i to login in as root user. A domain pointing to your server is also required. Before installing any package it is recommended to update the server and available packages. Run the following command to do so. Rocket.Chat requires few dependencies that are not included in YUM repository thus you will need to install the EPEL repository also. You can now restart your server so that the updates can take effect. Rocket.Chat uses MongoDB to store its data. MongoDB community version is not found on the YUM or EPEL repository hence you need to install the MongoDB repository. Create a new repo file using the following command. If you don't have nano installed, you can install it using yum -y install nano. Paste the following lines into the file and save the file and exit the editor using CTRL-O followed by CTRL-X. Now you can install MongoDB using the following command. The above command will install four packages named mongodb-org-server, mongodb-org-mongos, mongodb-org-shell and mongodb-org-tools. Start MongoDB and enable it to start at boot time using the following commands. To install Node.js with NPM or Node Package Manager, run the following command. Now you will need to install inherits and n package so that we can install the desired version of Node.js. Run the following command for same. Once Node.js is installed, you will need to install Node.js version 4.5 as Rocket.Chat needs Node.js version 4.5 to run properly. After installing Node.js, we will need to install few for dependencies which are GraphicsMagick, an Image processing tool, curl and gcc-c++. Run the following command for same. Now that we have all the dependencies ready, we can now install Rocket.Chat. Move to /opt directory and download the latest version of software using the following commands. Extract the files using the following command. The above command will extract the files in a directory named bundle. Change the name of the directory using the following command. Now switch to the installation directory and install the software using the following command. Now move back to the parent directory using the following command. Now you will need to set some Global Variables so that Rocket.Chat can use them where required. Set the Root URL of the application using the following command. Replace your-domain.comwith your actual domain. We have used https as we are going to set up an SSL secured reverse proxy with Apache. Set MongoDB URL using the following command. Set the PORT on which Rocket.Chat will run using the following command. You can do a quick test to check if MongoDB running using the following command. Now the application must be accessible on port 3000. You can check by going to the following link using your favorite web browser. To stop the application, press Ctrl + C.
Now we will need to create a Systemd service so that it can be started and stopped as service. To create the systemd service file, run the following command. Copy and paste the following contents in the file. Make sure that you change the ROOT_URL parameter in the above lines to your actual domain. Save the file and exit from the editor. You can now start the application using the following command. To enable the application to automatically start at boot time run the following command. You can check the status of the service using the following command. Install Apache web server and mod_ssl using the following command. Now start Apache web server and enable it to automatically start at boot time using the following commands. Now we will need to generate SSL certificates from Let's Encrypt client. To install Let's Encrypt client also called Certbot, run the following command. Where yourdomain.com is your actual domain. In the directory, you will find cert.pem which is your domains certificate and privkey.pem which is your certificate's private key. As our SSL certificates are now generated, we can proceed further to configure httpd configuration file. Create a new virtual host file using the following command. Adjust SELinux so that it can connect to the port 3000 using the following command. Now you can start the Rocket.Chat service if not started already using the following command. Now head to your favorite browser and access the following URL. You will see the following interface. Click on Register a new account and register yourself by entering your name, email and password. The first user to register is automatically promoted to the Administrator. Once you are registered, it will ask you to choose a username. Now you will be automatically taken to your dashboard. You can find the administration dashboard by clicking on the username from the left panel and finally on Administration link. In this tutorial, we have learned how to install Rocket.Chat on CentOS 7 Server. You can now deploy the application on your own server to collaborate and communicate in your office to increase the productivity.